The dawning of a new Broadway season. The trick is to buy tickets for a new show when it first opens in previews. I never paid more than $43 for a great seat. I just saw four newbies. The Lifespan Of A Fact is amazing. 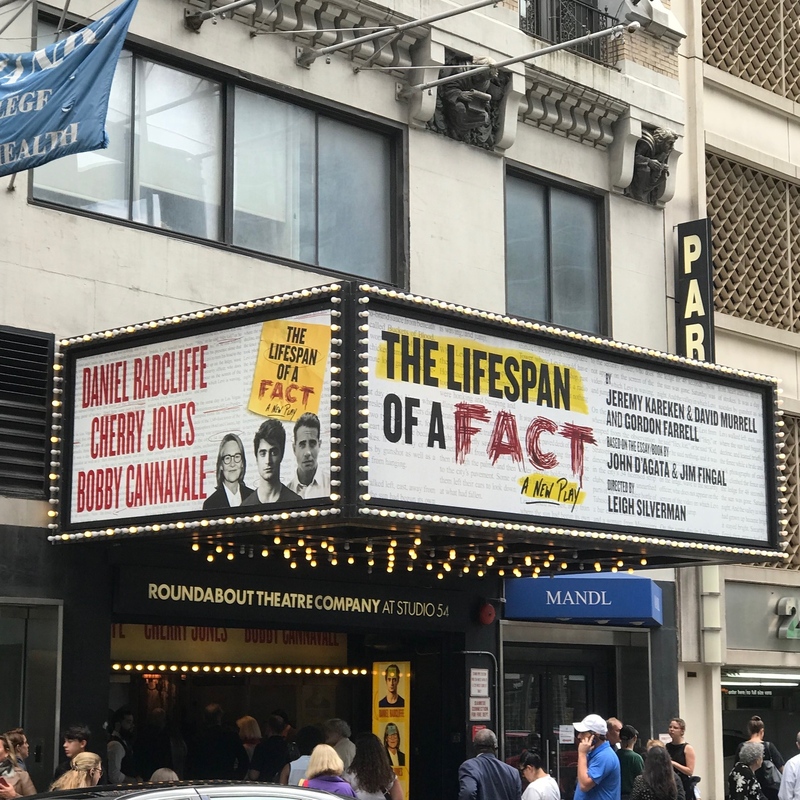 If you are in the NYC area or planning a visit, buy into this gem of a play immediately. Based on a an actual essay, the stellar cast features Bobby Cannavale, Cherry Jones and Daniel Radcliffe. This is a thoughtful, relevant, dynamic 90 minutes without intermission about a fact checker and a writer, both in pursuit of verifying facts and substantiating truth mixed in with their own interpretation of what is actual fact. 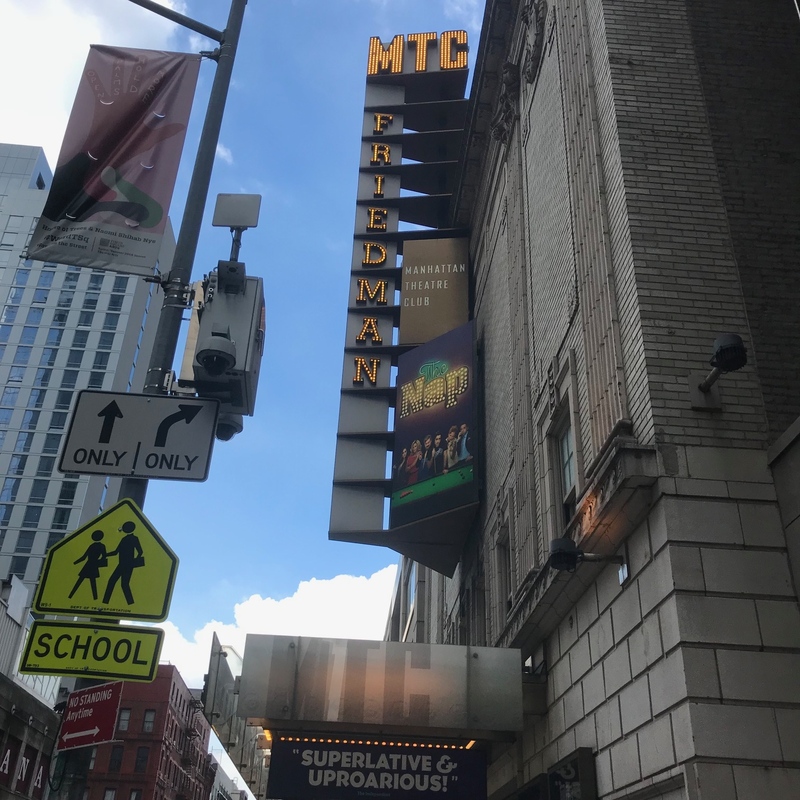 The Nap caught my attention because it is a new comedy from the writer of One Man, Two Guvnors, an extremely clever and entertaining play featuring James Corden which debuted on Broadway in 2012. The Nap is a very funny look at the world of snooker, the British version of pool. The play focuses on a fast-rising young star who arrives for a championship tournament only to be confronted by the authorities warning him of the repercussions of match fixing. The second act shines as the tournament unfolds live onstage. 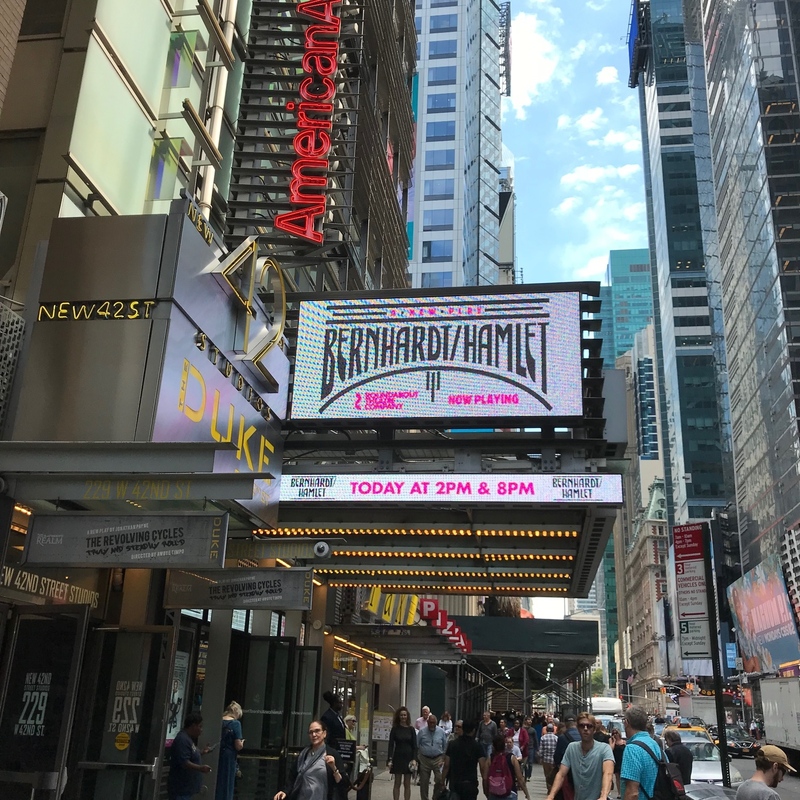 Bernhardt/Hamlet is a Janet McTeer vehicle and the acclaimed stage actress does not disappoint. The play is quite relevant during this important time of gender politics. Interesting, since the issue of a woman playing Hamlet occurred in 1897. Sarah Bernhardt, the international stage celebrity, was motivated to tackle her most ambitious role yet, that of a woman playing Hamlet. Theresa Rebeck’s new play is set against the lavish Shakespearean production that could make or break Bernhardt’s career. 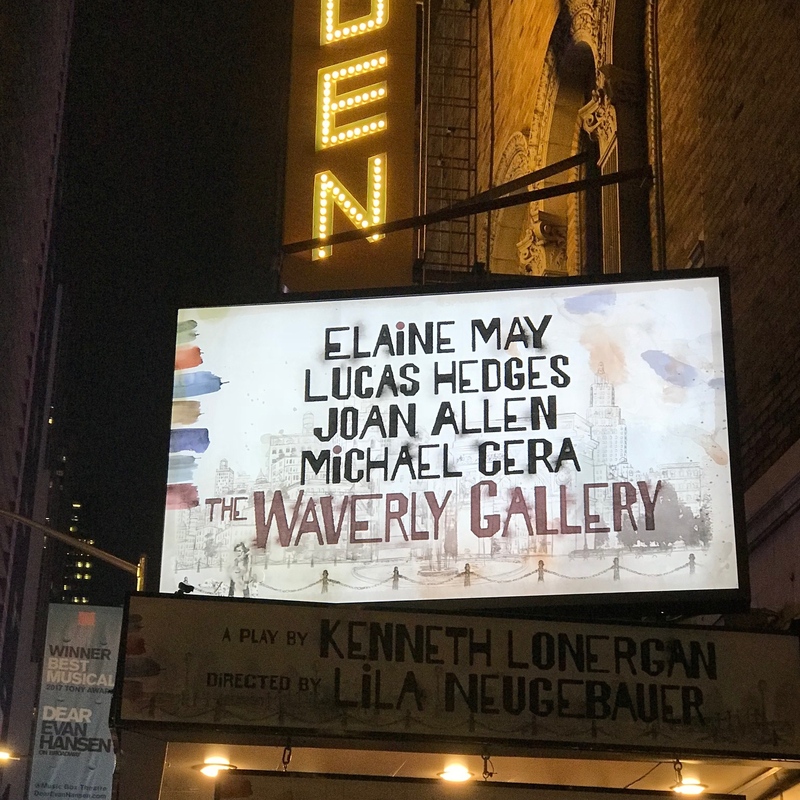 Waverly Gallery is a play by Kenneth Lonergan (Manchester by the Sea, Lobby Hero). The show, first produced Off-Broadway in 2000, follows a grandson watching his grandmother slowly fade away from Alzheimer disease. The cast consisting of Elaine May, Joan Allen, Lucas Hedges and Michael Cera should guarantee a memorable evening of theater, but their talents are wasted in this repetitive, painfully slow, going nowhere production. There are moments of hilarity in the first act…Elaine May as the octogenarian provides snippets of life that we can all relate to…repetition of the same questions and phrases, loving grandma who wears thin on the family’s last nerve, but 2 hours and 15 minutes is way too much. Those around me became restless, uncomfortable. Granted, it may be that we are all nervous that this could be our eventual fate. Renown producer Scott Rudin (Waverly Gallery producer) sat behind us, voraciously taking notes. Waverly Gallery has a long way to go. Next on my bucket list, Network, starring Bryan Cranston.